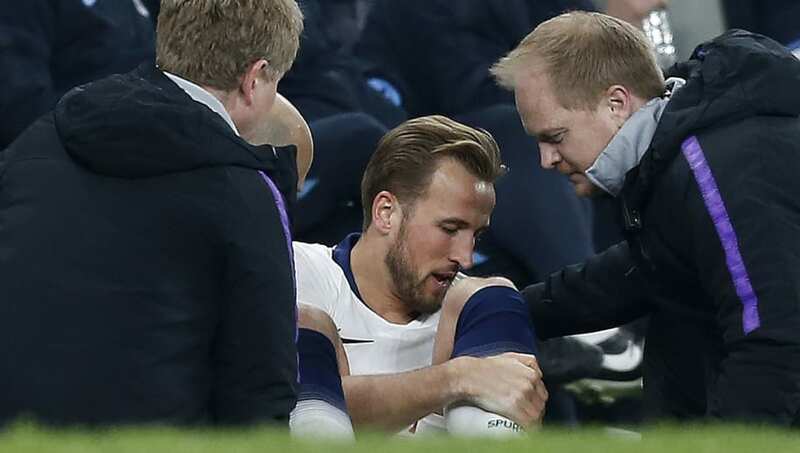 ​Tottenham striker Harry Kane has reacted defiantly to the injury he sustained in Tuesday night's Champions League quarter-final clash with Manchester City. In spite of the devastating blow, ​Kane remained positive and took to Twitter to offer his followers a positive message. He wrote: "Gutted to go off injured but every setback is a chance to come back stronger than ever. Big finish from the boys to go on and win! #COYS." The aforementioned problem that he picked up in January - against ​Manchester United in the ​Premier League - is just one of a number of injury complaints the ​Tottenham frontman has had to overcome in his career. He damaged ankle ligaments in September 2016, before the same issue reoccurred the following season. Speaking to ​Sky Sports after the ​Champions League encounter, the Spurs academy product stated: "We know how important Harry is to us. Hopefully it is nothing too serious and he won't be out for too long. "We have got great players who can step in and fill that void when he is injured," Winks continued. "We have shown that tonight. [​Son] has done that all season. He has been scoring goals with and without Harry in the team."